Take these precautionary steps to keep disease out of your flock. One of the most troubling events that can happen to any chicken owner is the introduction of a disease into his or her chicken flock. Chicken diseases can reduce egg and meat production, cause economic loss and, worse yet, cause the loss of your chickens. Fortunately, you can take precautionary steps as a chicken raiser to help reduce the opportunity for disease in your nesting place. 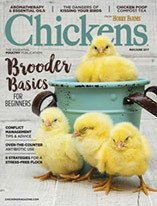 An important step in prevention is to observe your chickens’ health and interaction daily. When you become familiar with their healthy appearance and behavior, you’ll be able to recognize quickly when something is wrong. In general, a sick chicken is less active, retracts its neck close to its body and has an unkempt appearance, but not all diseases show the same symptoms. Diseases are caused by many different factors and organisms. Infectious chicken diseases don’t spontaneously appear. Almost all infectious diseases are introduced into a chicken flock by means that go unnoticed, such as inadvertently carrying an infectious disease on shoes or clothing and then tending to chickens. Just as common are introductions of disease from tools, feed, other animals, pests, vermin and, most commonly, from new chickens introduced to an existing flock. Preventing disease in chicken flocks entails proper management and sanitation practices. Thoroughly clean tools and chicken facilities with proper disinfectants, and minimize or eliminate the introduction of new chickens to your flock. Biosecurity measures, such as limiting your chicken’s contact with visitors and preventing contact with other birds, will reduce the risk of disease in your chickens. When an unhealthy chicken is noticed, immediately quarantine it and accurately diagnose the disease. 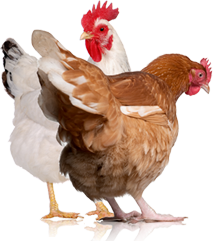 By expediting the treatment of infected chickens, you’ll prevent further spread of the disease. Vaccination is seldom used by small-flock owners due to the expense and limited availability of vaccines, the simple lack of disease in small flocks, the unknown presence of disease and the improper diagnosis of disease. Vaccination should be performed if chickens have had a disease problem in the past, if they are transported on and off premises, regularly and if new chickens are continually introduced to your existing chicken flock. 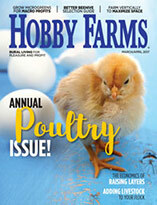 Good husbandry should provide the backyard-flock owner and hobbyist with healthy, disease-free chickens without the heavy use of medications. About the Authors: Jose A. Linares, DVM, ACPV, is the resident director of the Texas Veterinary Medical Diagnostic Laboratory, Poultry Diagnostic Laboratory in Gonzales, Texas. John El-Attrache, PhD, is an assistant professor in the Department of Veterinary Pathobiology in the College of Veterinary Medicine at Texas A&M University.